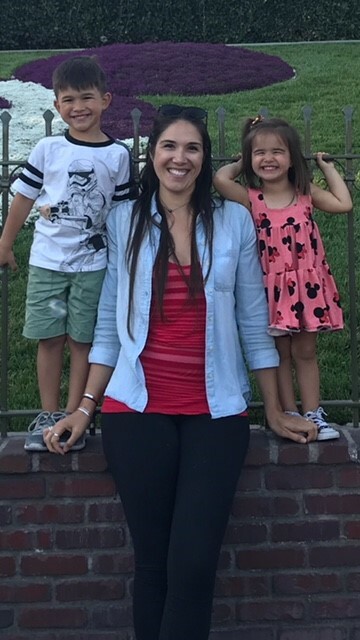 Traylor Driven Employee Spotlight, NHCD: Paige Wilshusen - Traylor Bros., Inc.
Paige Wilshusen, a member of our National Heavy Civil Division, is a Field Engineer on the Regional Connector Transit Project in Los Angeles, CA. She has a BS in General Engineering with a Specialization in Structural Engineering from California Polytechnic State University and is a registered Engineer in Training (EIT). All of her six years of experience have been with Traylor. 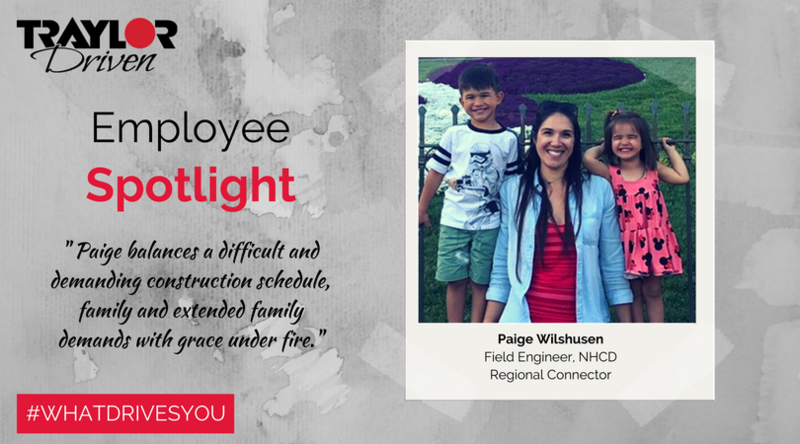 Paige was nominated for our Employee Spotlight for her ability to handle a variety of tasks, peers, and managers while being a true JV team player. Despite starting off ‘green’ at the Regional Connector in 2014, she quickly earned the respect of her managers and colleagues through her hard work and professionalism. Paige with her two children: August, 5 (left), and London, 2.5 (right). Paige Wilshusen (PW): Of course, I’ve had some memories while on Regional, but the ones that take the cake when I reflect on the past six years with Traylor are centered around camaraderie and outside activities with coworkers. When I started there was a very close, tight-knit group estimating out of the Long Beach office. My fondest memories are doing CrossFit in the Long Beach office garage, Friday lunches and weekend BBQs, and the Conquer the Bridge run over the Vincent Thomas Bridge in San Pedro, CA. PW: I live for the time I get to spend with my family. My son just started playing sports so recently that has consumed our lives outside of work, but I wouldn’t change it for anything. Otherwise, I love to cook and bake, try new restaurants, read, and go for walks with my husband, kids, and dogs. PW: All of the amazing people I get to meet and work with at Traylor. While days may be hard and unrelenting on a JV project, when you finally get to spend time, even if it’s just a few minutes, with Traylor folks you immediately appreciate them, their attitudes and morals, and remember why you chose to work for Traylor. I joined Traylor because of its small “family feel,” and I honestly think that without this culture and these people advocating for me it would have been much, much harder to continue in the construction industry while raising August and London.